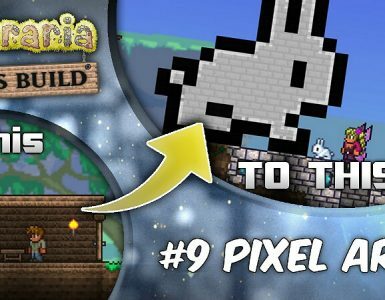 This guide will show you the easiest ways to get any type of crate in terraria. 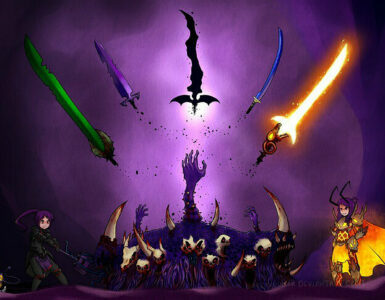 There are 9 different types of crate in terraria which are all only obtainable by fishing. Wooden crates are the most common and can be caught anywhere. Iron crates are slightly rarer than the wooden ones. Gold crates are the most valuable of the three default crates and contains higher tiered loot than the other two. Sky crates can only be caught in Sky Lakes. Jungle crates are only able to be caught in the jungle and are a good way to get fiberglass fishing rods. 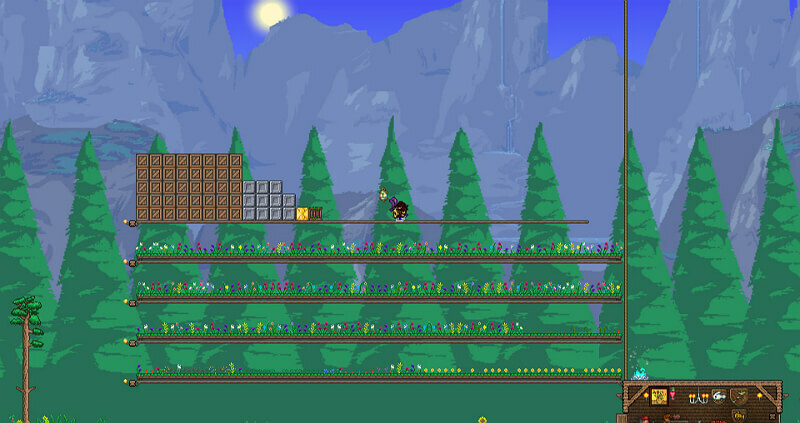 Crimson crates can only be hooked in a world with a Crimson biome. 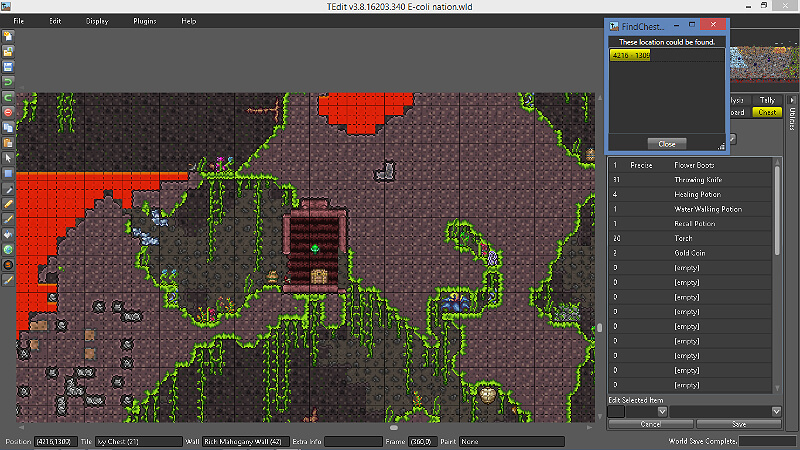 Corrupt crates can only be hooked in a world with a Corruption biome. Dungeon crates can only be found in the dungeon and are a good way to get Golden Lock Boxes. Hallowed crates are only able to be hooked in the hallow. 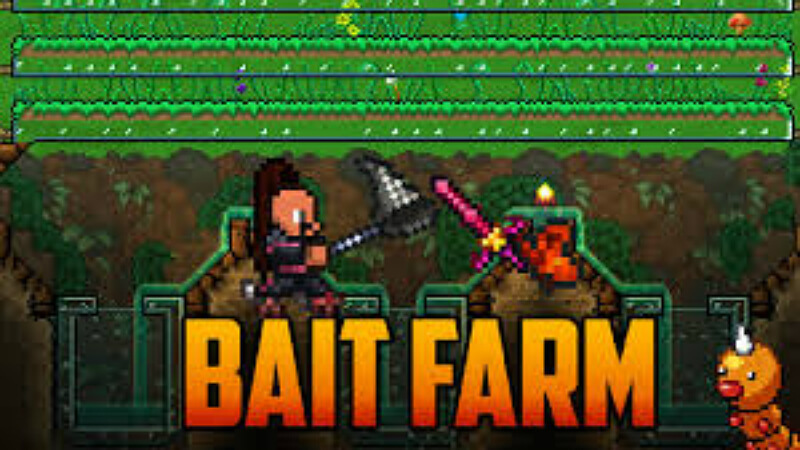 The best way to get Crates is by finding bait with a high bait power e.g. 50% or 40%. Masters bait can be acquired from angler quests and higher tiered crates (Gold, Iron). Tree nymph butterflys are randomly spawning and can be caught with a Bug Net. Gold worms have a 1/150 chance to spawn in place of a normal worm. Gold grasshoppers have the same spawn rate as Gold worms. Gold butterflys spawn randomly in place of normal butterflys. 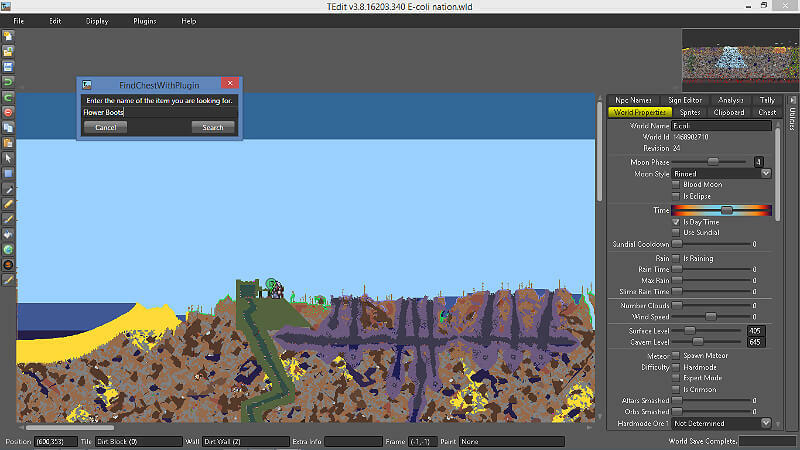 Buggys are the rarest of the three critters that spawn in the jungle biome when a player breaks a background plant. Enchanted nightcrawlers can be crafted with a fallen star and a regular worm. Lightning bugs only spawn in the Hallow. Purple emperor butterflys randomly spawn during the day. Red admiral butterflys have a random spawn chance. Journeyman bait is acquired from quests and from crates. 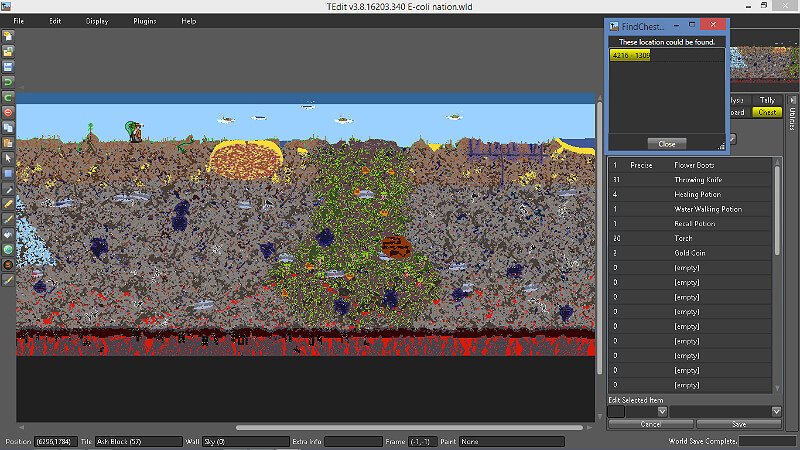 Worms spawn when raining or when the player breaks stone or dirt piles. 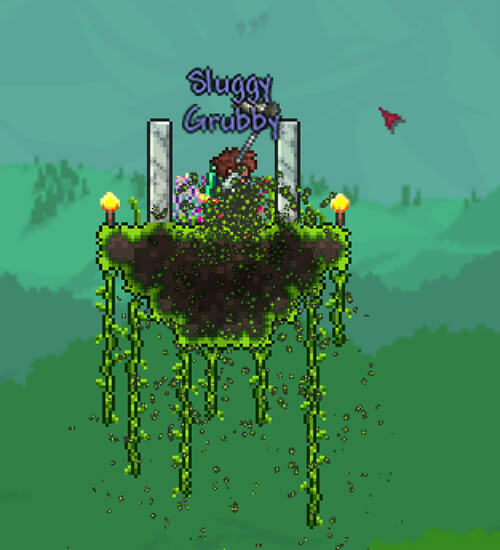 Sluggys are one of the three critters that spawn in the jungle biome when a player breaks a background plant. Julia butterflys spawn randomly during the day. Blue Jellyfish. you have a 1/1000 chance to catch one with a 25% fishing power rod. Green Jellyfish. you have a 1/500 chance to catch one with a 50% fishing power rod. Pink Jellyfish. you have a 1/250 chance to catch one with a 100% fishing power rod. Fireflys only spawn at night. Ulysses butterflys spawn randomly during the day. Apprentice bait is acquired from crates and angler quests. Black Scorpions only spawn in the desert biome. Glowing snails are uncommon and only spawn in mushroom biomes. Grubbys are the most common of the three critters. Zebra swallowtail butterflys spawn randomly during the day and are more common than other types. Grasshoppers have a 12.8% chance of spawning from a single block of grass. Scorpions spawn exclusively in the desert biome. Snails spawn most frequently in Jungle temples. Sulphur butterflys. calming potions increase passive mob spawns. Monarch butterflys are so far the only bait with 5% power. 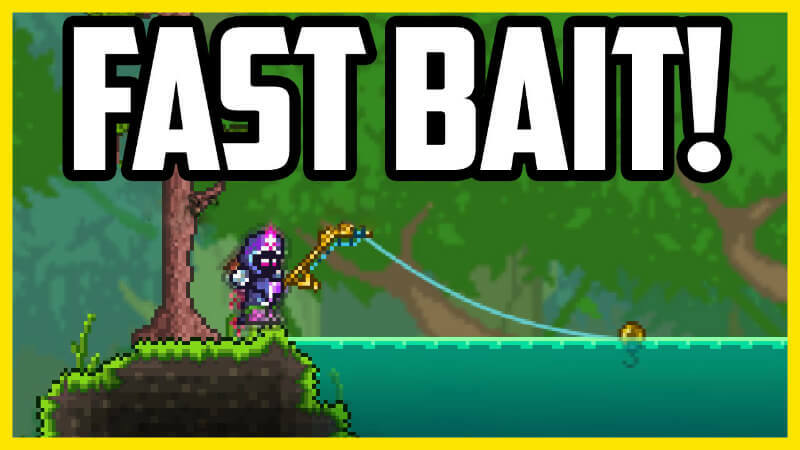 The bait with the highest power and the most common to find is the buggy. Buggys can spawn from jungle grass when it’s broken which means that we can use this to our advantage in a simple bait farm. These can only be found occasionally in jungle shrine chests or living mahogany tree chests. I recommend using TEdit to find them if you are having trouble. (Tutorial at bottom of guide). Flare gun and some flares. Can be found randomly in Gold chests underground. Can be purchased from the Merchant for 25 silver. 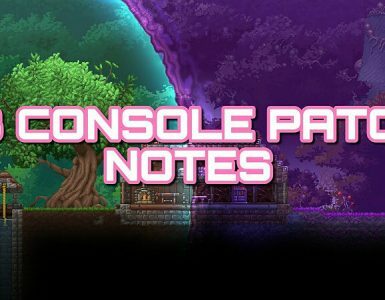 Note: you will need access to the jungle or jungle seeds. 1. 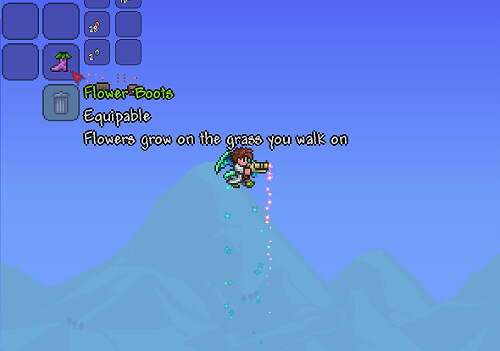 First, Equip your flower boots. 2. 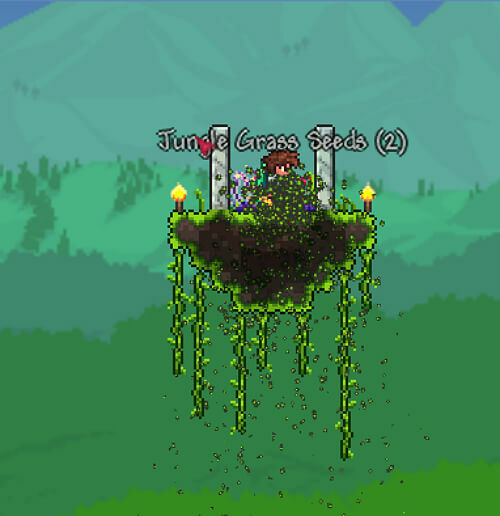 Create a structure that looks like this on some jungle grass. (It doesn’t matter where). 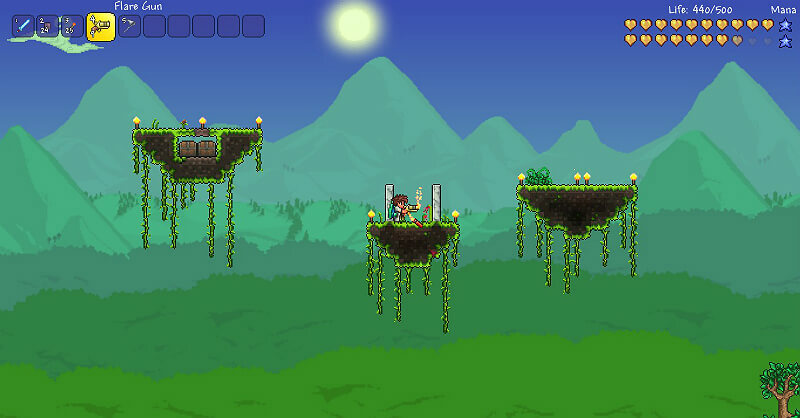 Have two, four block tall pillars with jungle grass blocks in the middle, at least three blocks wide. 3. Fire a flare at the ground. 4. Walk over the flare wearing your flower boots. 5. Start swinging your bug net. 6. 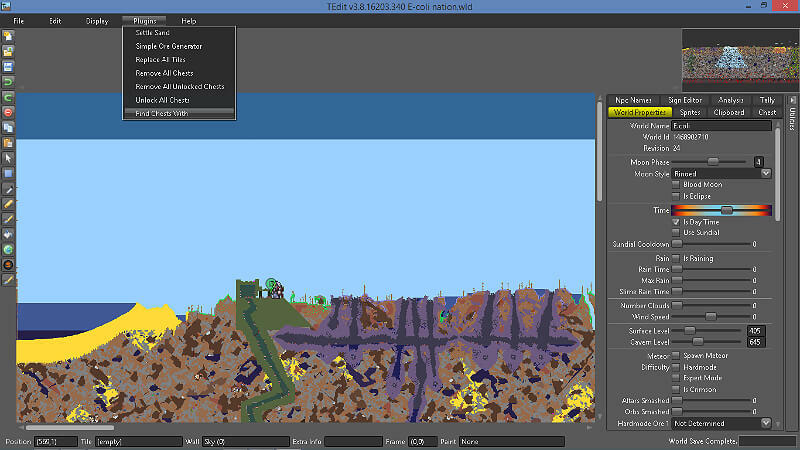 Before long you should have a ton of buggys, sluggys, and grubbys (and jungle grass seeds). 7. Take the buggys and use them as bait! 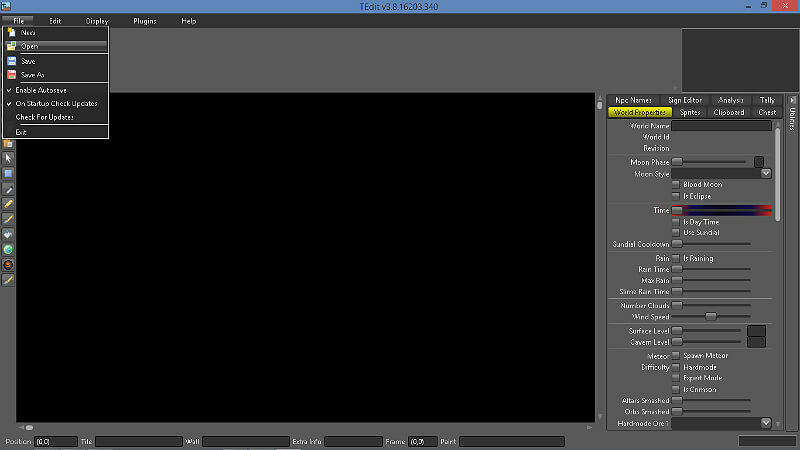 For this to work best, hold down right click and leave it for a couple of hours. Note: remember that flares do eventually wear out so check back every half hour or so if your going AFK. Fishing for crates is extremely simple once you have good bait. But which rods are the best? 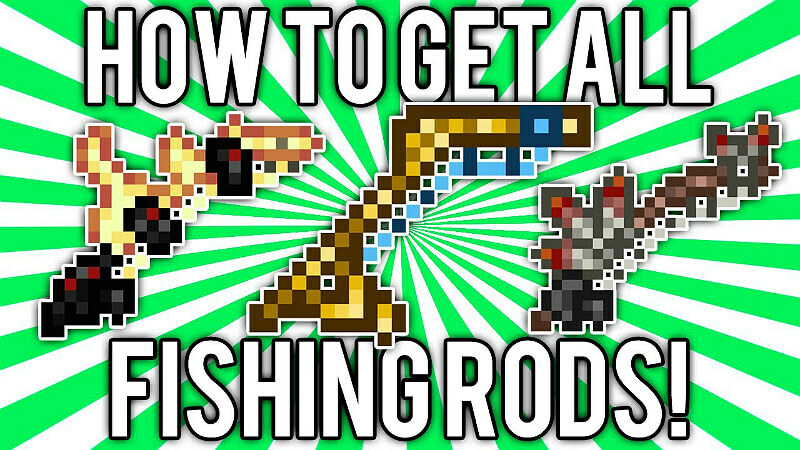 Fishing rods (Best to worst). To fish with the most efficiency you need to meet some simple requirements. You won’t be able to fish in any water that has less than 75 tiles of connected liquid. 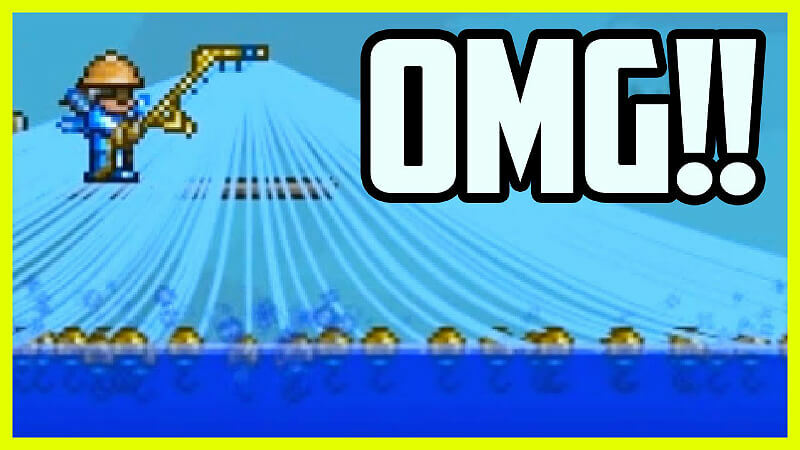 If you do cast a line into a body of liquid that is smaller than this you will only be able to catch junk items. These items have no use and are not worth anything. But only if it has 50 or more connected tiles of liquid. For a body of liquid to be counted as an ocean it has to be 1000 or more connected tiles. 2. 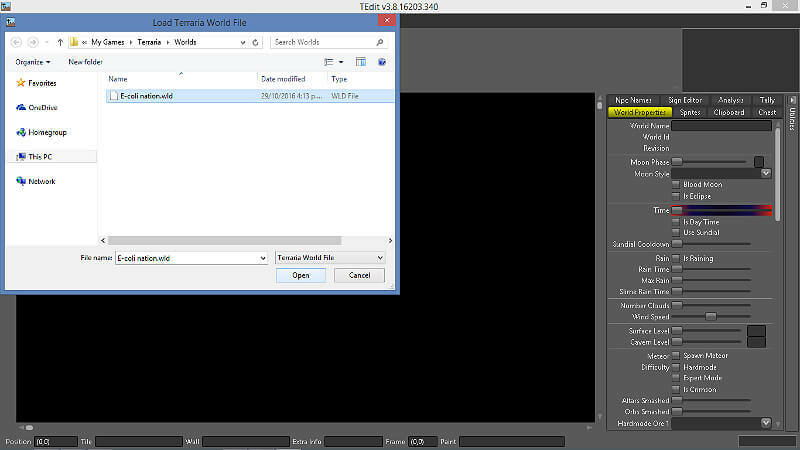 Open up TEdit and click “Open” under the file tab. 3. Open up one of your worlds. 5. Type “Flower Boots” into the search bar. 7. Now simply find those coordinates with the Position marker in the bottom left corner. The only pair of flower boots in this world are at (4216 – 1309) as you can see in the bottom left. on screen is the chest with the flower boots in. 8. Right-click the chest to check. then make a note of the location and dig down until you find it. 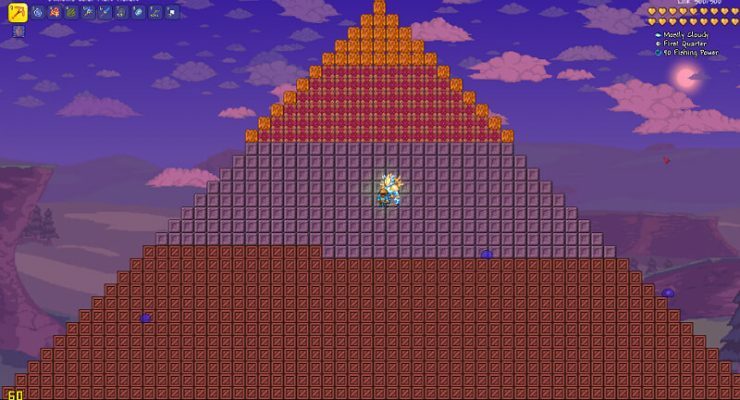 Note: you can also do this with any item in the game that is found in a chest.